The specialty of endocrinology and diabetes is concerned with conditions where there is perturbation of specific hormone action. Diabetes mellitus is very common, affecting at least three to four percent of the population. Thyroid disease is also common, as is polycystic ovarian syndrome – one of the commonest causes of infertility. Most other endocrine conditions are relatively rare, but require specialised expertise and facilities to manage effectively. Prof. Dr. C.V. Harinarayan is an excellent clinician, accomplished researcher and scientist, astute bedside investigator, exemplary organizer and administrator. 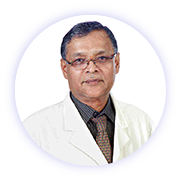 He has an outstanding contribution in the field of Endocrinology. 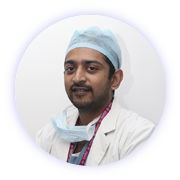 His research work has provided new perspectives in the correct diagnosis and treatment of metabolic bone diseases. 1. Programmed investigations for complex endocrine disorders. 2. Post-operative management of endocrine and diabetic patients. 3. Management of diabetic and endocrine emergencies such as ketoacidosis and hypercalcaemia. 4. Management of diabetes and endocrine conditions during pregnancy. 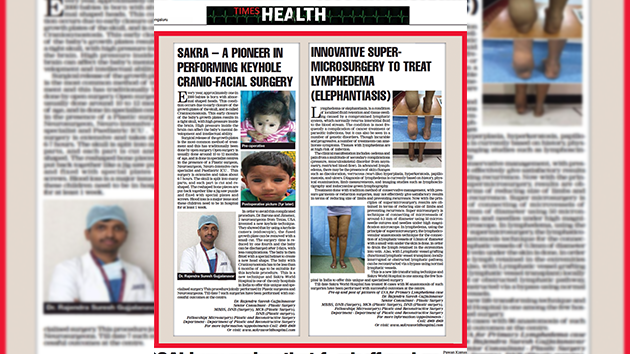 Sakra hospital has the very best in the technology available in plastic and reconstructive surgical procedures. These include high tech equipment such as the Leica Advanced Operating microscope for Microvascular surgery, Synthes Air Pen Drilling system and Matrix plating system for Cranio-Maxillo-Facial Surgery, Medicon Plastic Surgery instrumentation, Germany, Liposuction system from Medicon, Germany, Vacuum Assisted Closure systems for complex wound healing. 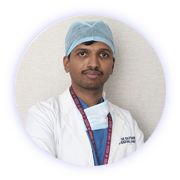 Dr. Rajendra S Gujjalanavar is a Board Certified Plastic Surgeon, Consultant - Plastic and Reconstructive Surgery at Sakra World Hospital, Bangalore.